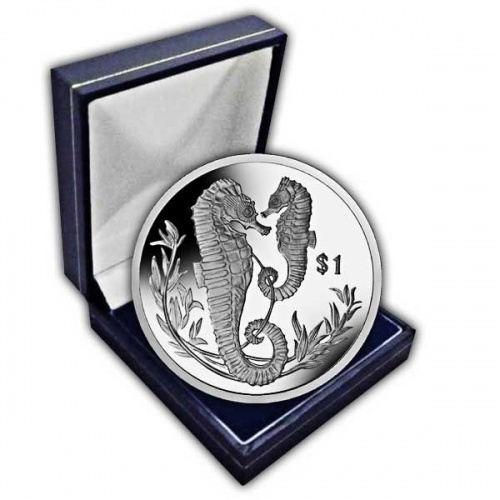 The Seahorse is among the most lovely and classy of all marine animals. They are truly unique, and not just due to the fact that of their unusual equine shape. Unlike many other fish, they are monogamous and mate for life. Rarer still, they are among the only animal species in the world where the male bears the unborn young. 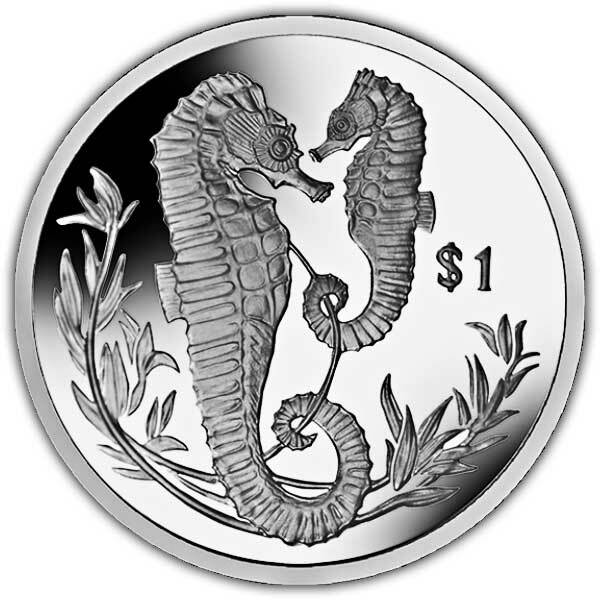 This New 2017 coin depicts a beautiful picture of an adult and baby seahorse with their tails entwined around seaweed, producing a wonderful and unique scene that is sure to be popular with collectors all over. 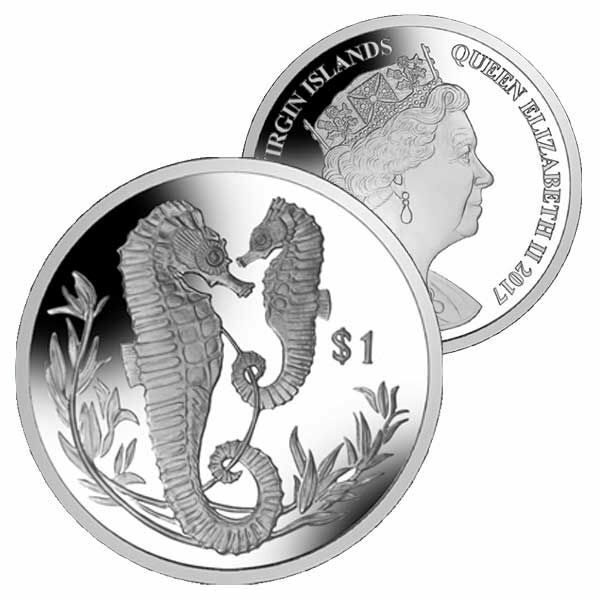 The coin has actually been produced in Cupro Nickel and is also offered in Proof Sterling Silver and Turquoise Titanium to imitate the warm seas where it lives.